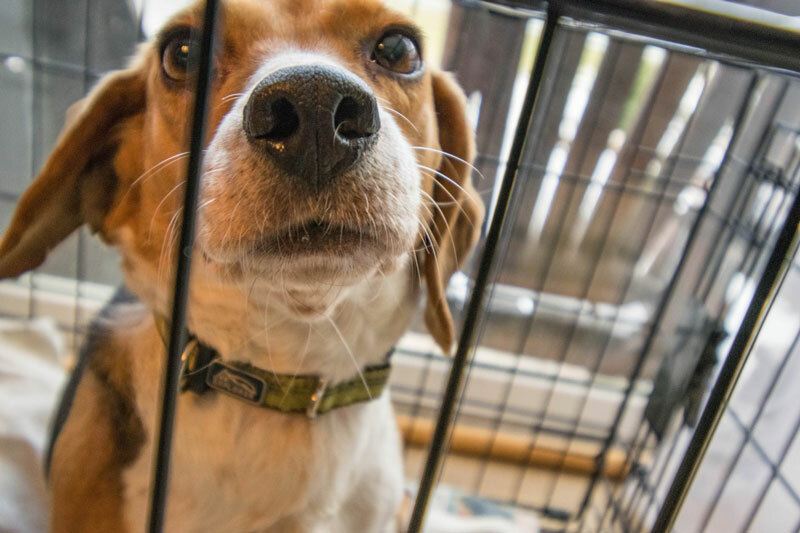 VENANGO CO., Pa. (EYT) – Humane officers from the Venango County Sheriff’s Department and state dog wardens were involved in the relinquishment of over 50 dogs from a Utica residence yesterday. Two Venango County sheriff’s deputies, Ryan Williams and Sgt. Merle Giesey, who are both also humane officers for Venango County were also involved. According to Williams, the Venango Forest County Animal Response Team and volunteers from the A.N.N.A. (Association for Needy and Neglected Animals) Shelter in Erie also participated in the rescue. Williams said the investigation began after his department received a report about a large number of animals, all living in a single-wide trailer on Chestnut Grove Road in Canal Township, with concerns about the animals’ living conditions. According to Williams, one of the individuals living at the residence, Barbara Lopez, was arrested on a bench warrant for failure to pay fines and fees on a previous animal cruelty conviction. The other resident, whose name was not released, then agreed to relinquish more than 50 dogs that were being kept in the home. “It was an animal hoarding situation,” Williams said. Williams noted that some of the animals had injuries and health conditions, some were underweight, and several were pregnant. The dogs were transported to the A.N.N.A. Shelter in Erie. According to Williams, since the animals were relinquished by the owner, they will be available for adoption. Williams also noted that animal cruelty and dog law violation charges are pending. A representative from Hog Heaven Rescue, of Cochranton, Crawford County, confirmed that the owners had also been offered assistance by area rescue organizations in the past.